Sale — The Women’s Missionary Society of First Baptist Church, Marquette, will have its annual sale from 9 a.m. to 1 p.m. Camping items, Christmas items, books, clothing, shoes, bedding, lamps, crafts, dishes, toys and kitchen ware will be among the items offered. For more information, call 906-226-2014. Haircut benefit — Julie’s Journey of Hope will benefit from Hair Cuts for a Cause from 10 a.m. to 3 p.m. at Accents on Style in Gwinn. In that time frame, Accents on Style will be donating all proceeds from haircuts to Julie’s Journey of Hope, which aids a local woman who has been diagnosed with Freideich’s Ataxia, a rare and progressive neuromuscular disease that has no treatment and no cure. She is one of only 5,000 people diagnosed with this in the United States. Whole Pie Sale — The South Community Fund Committee Women Who Care will have a summer whole pie sale from 10 a.m. to 2 p.m. — or until sold out. The sale will take place at the West Branch Township Hall, 1016 County Road 545 North. Proceeds from the sale will go toward scholarships, grants which support youth development, and the local food pantry. Finn Fun Day — the ninth annual Finn Fun Day will take place at the Negaunee Township Hall, 42 State Highway M-35, starting at 11 a.m. and continuing until 3 p.m. All are welcome, there is plenty of parking, and there is no admission charge. Food will be served, and entertainment and the Tori (market) will happen during the entire event. Finn Fun Day is sponsored by the League of Finnish American Societies UP Chapter Finlandia Foundation Affiliate. Memberships can be purchased on site. For more information on Finn Fun Day, call 906-226-7085. Harbor Fest — put on by the Marquette West Rotary in Mattson Lower Harbor Park. Free. Food, beer and wine for sale. 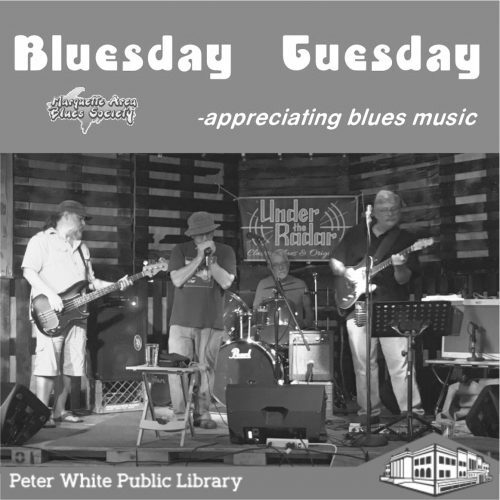 Music by: Gerry and Allison Brown, 12:30-2 p.m.; Tuesday Jones, 2:30-4 p.m.; The Pit Crew, 4:30-6 p.m.; Iron Daisy, 6:30-8:15 p.m.; and Live Bullet Detroit, 9-11 p.m.
Back to School with the Jersey Boys — musical presented at the Masonic Building, Marquette, 7 p.m. Tickets cost $15 and can be purchased online, at Midtown Bakery, Rare Earth Goods, and Snowbound Books. Godspell — 7:30 p.m., Lake Superior Theatre, Tickets are available 24/7 at tickets.nmu.edu, the Berry Events Center, or 906-227-1032. Or barring a sellout, buy tickets any night of a show at LST from 6-8 p.m. Call LST for info 906-227-7625. Farm Visit — The public is invited to join Northern Vegans (www.northernvegans.com) for a day at Mayapple Cottage Farm at W8756 Peterson Drive in Breitung Township in Dickinson County at 11 a.m. EDT. Bring a vegan lunch and spend a peaceful summer day on the farm visiting with the animals, tasting fresh herbs, or participating in a craft project. The visit will happen rain or shine. Visit Northern Vegans’ Facebook page and northernvegans.com or call 236-1279 for more information.